This study proposes a novel adaptive fixturing device based on active clamping systems for smart micropositioning of thin-walled precision parts. The modular architecture and the structure flexibility make the system suitable for various industrial applications. The proposed device is realized as a Parallel Kinematic Machine (PKM), opportunely sensorized and controlled, able to perform automatic error-free workpiece clamping procedures, drastically reducing the overall fixturing set-up time. 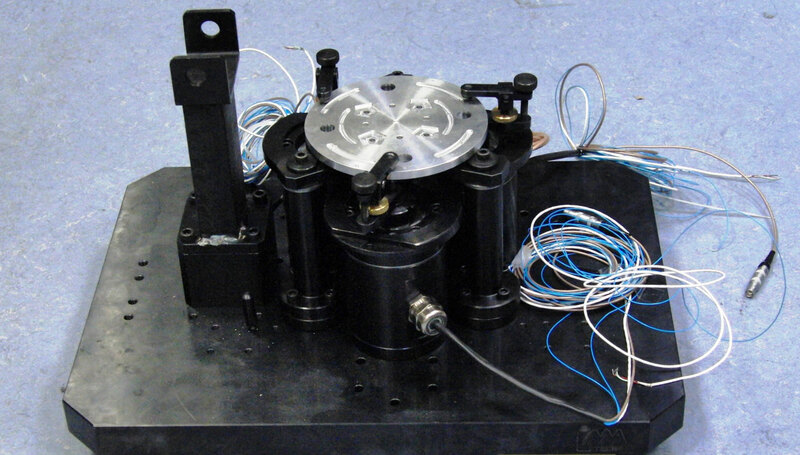 The paper describes the kinematics and dynamics of this mechatronic system. A first campaign of experimental trails has been carried out on the prototype, obtaining promising results. A. Borboni, F. Aggogeri, A. Merlo, N. Pellegrini, and C. Amici, “PKM mechatronic clamping adaptive device,” International Journal of Advanced Robotic Systems, vol. 12, 2015.